But I'll confess, as much as I liked Proof, I found I wasn't heading there that often. Unless I was going to start running marathons, I found it difficult to justify the carbo-loading implied by a place with both "pizza" and "pasta" in its name. This is, of course, kind of goofy: I will often order a pasta dish or have a pizza for dinner without any compunction whatsoever. The problem is the feeling, before I've even set foot in the restaurant, that I've committed to ordering something heavy just by the place I've chosen. 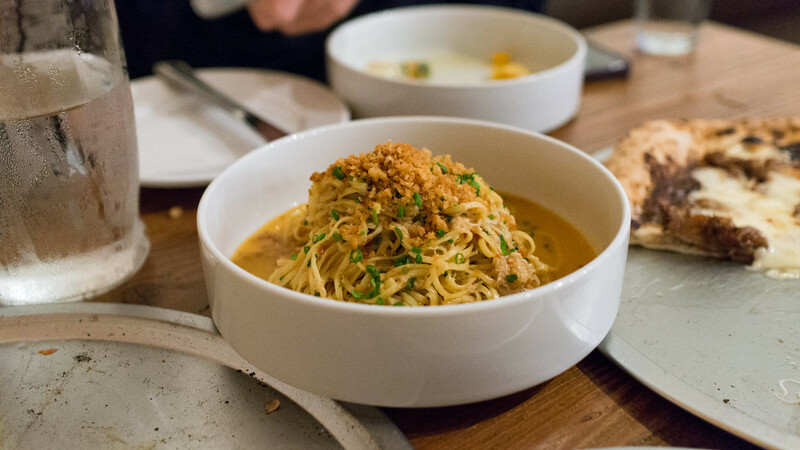 The irony is that Proof's pastas are actually very reasonably portioned (and priced accordingly) so that you can order one without feeling like you've just consumed 2,000 calories worth of carbs at once. But as it's said, sometimes perception is reality. And I may not have been alone. Turns out, they've recently changed the name: it's now just "Proof Miami," reflective of a shift in focus. 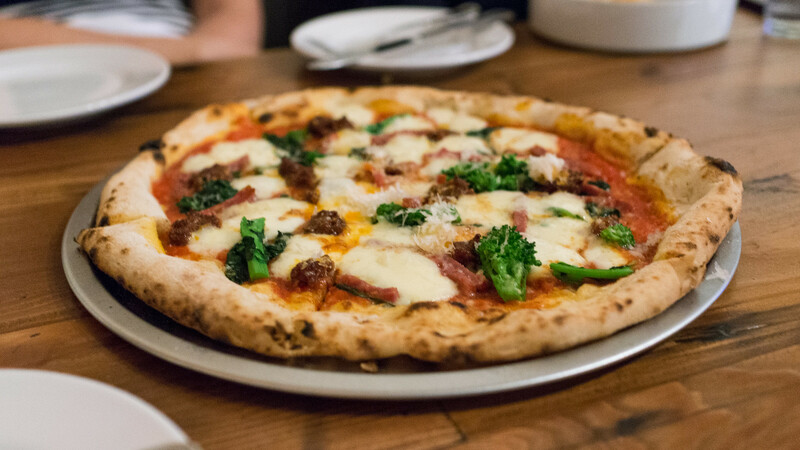 There are still pizzas and pastas – and they are still excellent – but more space on the menu is given over to other non-carby things. 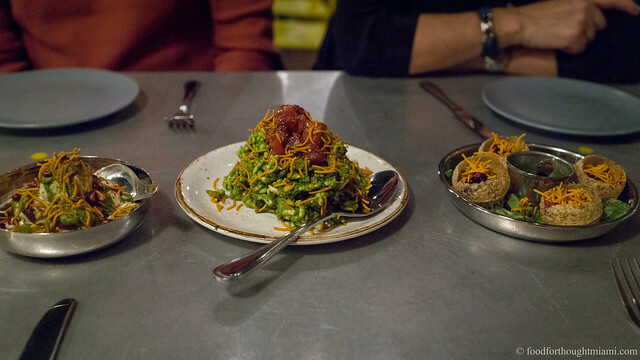 Truth is, Proof has always had a few good, if unorthodox, salads on the menu. 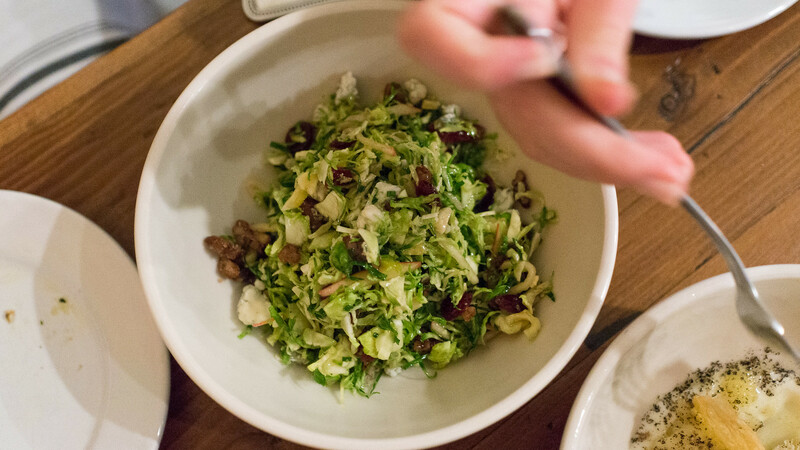 One of my favorites is a bowl that features shaved Brussels sprouts tossed with candied pecans, dried cranberries, and gorgonzola cheese in an apple cider vinaigrette, which I've tried, with a moderate degree of success, to recreate at home. 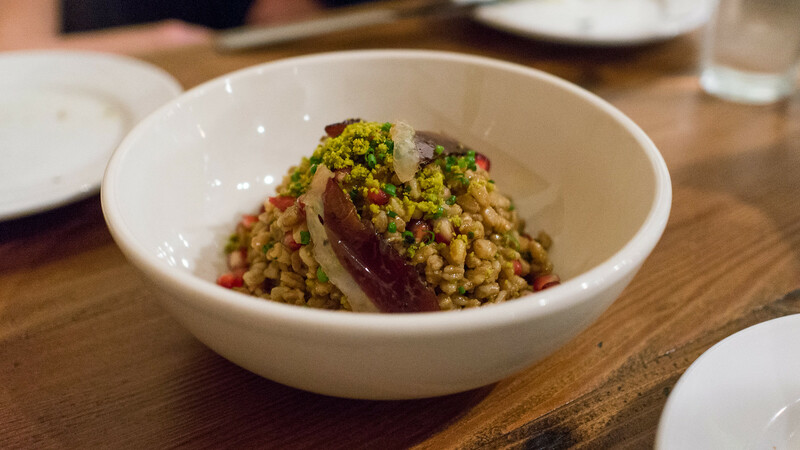 Another used warm farro as the base, garnished with duck prosciutto, pomegranate seeds and shaved pistachios. On our most recent visit, there were slabs of juicy Florida heirloom tomatoes, paired with peppadew peppers, castelvetrano olives, sweet delicate lettuces and crunchy puffed farro. 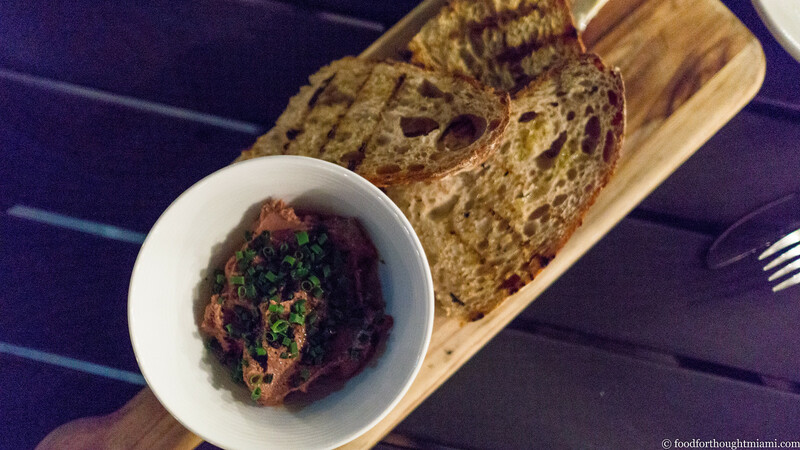 They're now baking their own crusty sourdough bread in-house at Proof as well, which can be had with a choice from among a few different accompaniments: warm, freshly pulled mozzarella cheese, creamy whipped ricotta, or rich, silky chicken liver mousse. There are now a couple protein-centric options in addition to the pizzas and pastas as well. 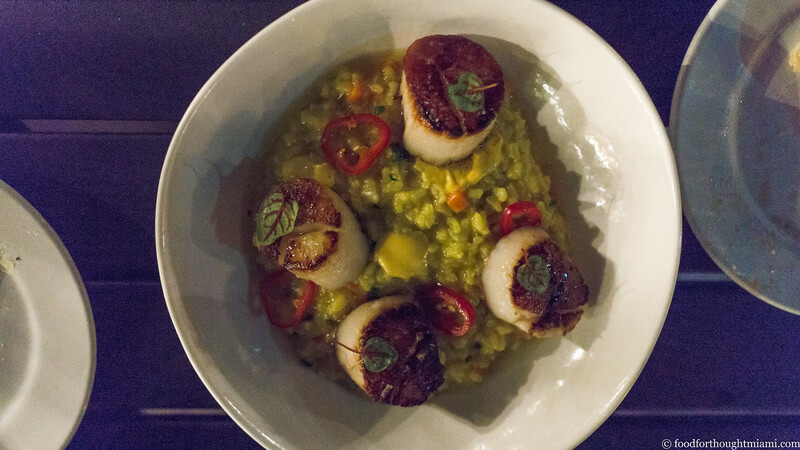 On our most recent visit, they included a crispy pork belly in a pork jus with wax beans and pearl onions, and these delicious, sweet, plump sea scallops, served over a bed of creamy bomba rice enriched with uni butter and saffron, and brightened with slivered Fresno chiles. 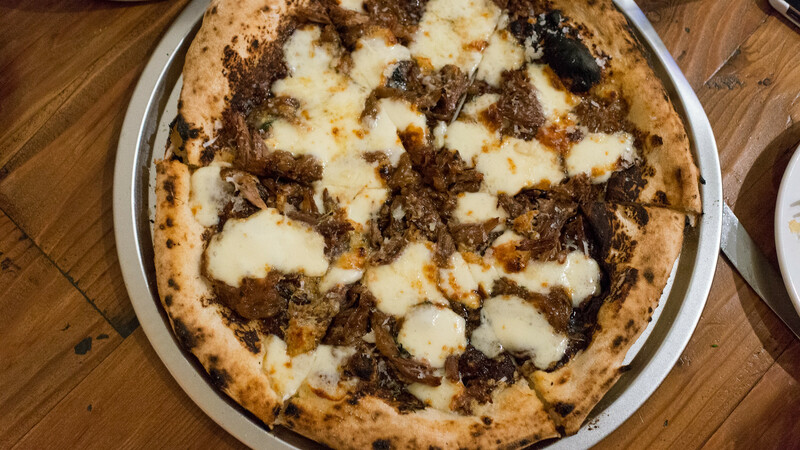 Meanwhile, the pizzas are still very good – possibly even better, in fact. Our waiter told us that Justin recently tinkered with his dough recipe, changing out some of the Caputo flour for something heartier and bringing the cooking temperature down from 900° to around 700° to give it a slightly longer spell in the oven. 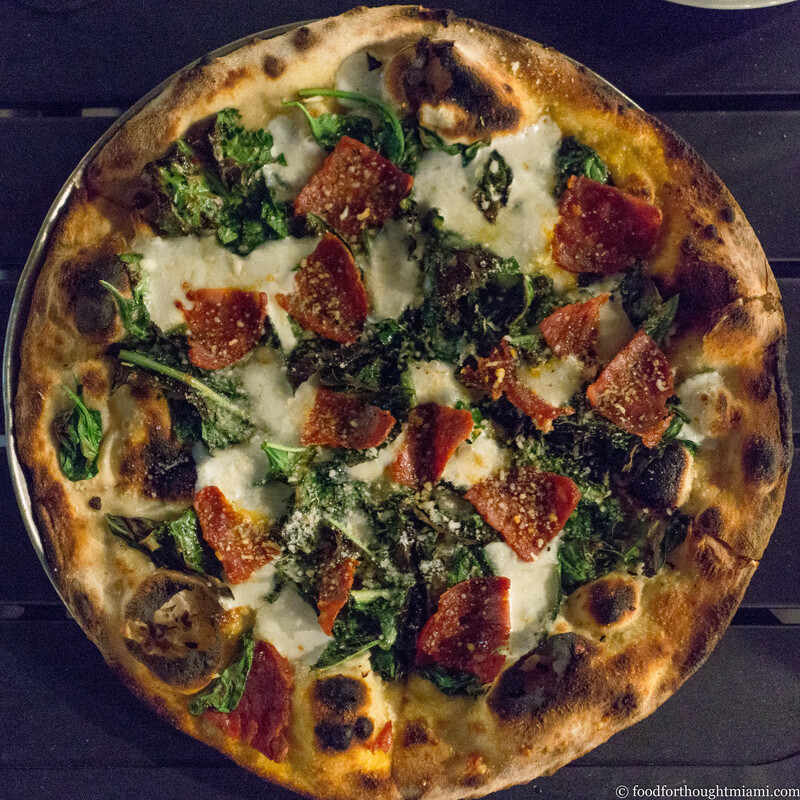 The result is a really nice balance between savory chew and crispy char, which was a perfect base for a new pizza topped with wilted dandelion greens, garlic, mozzarella, a dusting of parmesan, a squeeze of lemon for brightness, and an optional add-on of dried chorizo. 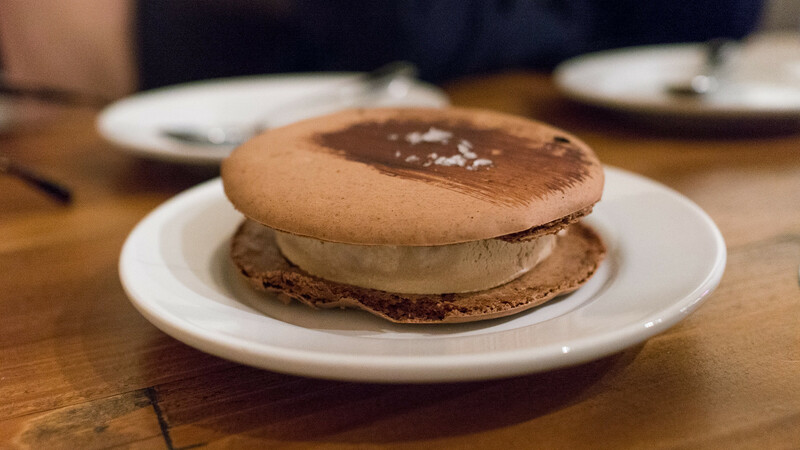 There are usually just a couple desserts on the menu, and one of them will be some variation on Malcom Prude's macaron ice cream sandwich. You will want to get this: a delicious combination of airy, nutty, softly crumbly macaron shell and creamy cold ice cream center. I appreciate that Proof keeps its menu short and tight. Too many places try to do too many things at once, which stretches not only the capacity of the kitchen but the food cost budget as well. But I do hope that they further pursue the push beyond just pizzas and pastas to expand on some other options: the menu could still use a couple more choices for carb-dodgers, especially when some of the new additions (i.e., the bread service, the scallops served over rice) might not hit that particular mark. 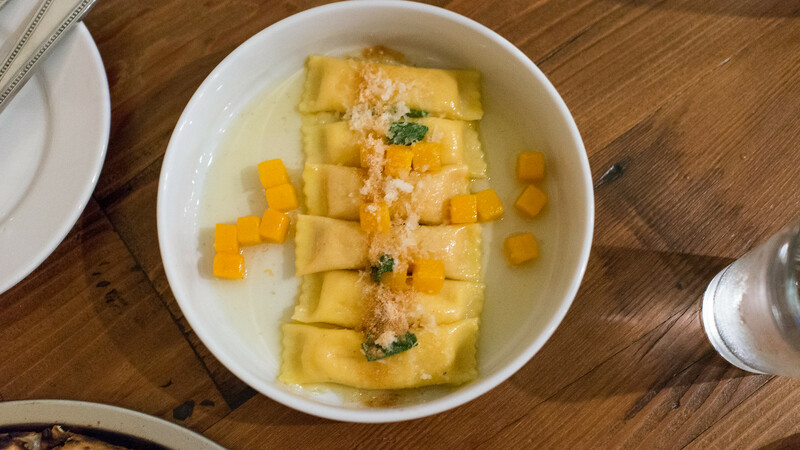 Incidentally, the level of service at Proof is really exceptional, particularly measured against the expectations you might have from the abbreviated menu and modest decor. Our waiter coursed out our meal perfectly, knew the menu and the dishes inside and out, and gave some good advice to put our Barbera on ice for a few minutes. Proof is an exceedingly rare thing in Miami: a restaurant that under-promises and over-delivers. But that doesn't come as a surprise to me. Justin, after graduating from the French Culinary Institute, honed his skills for years as sous chef at Bourbon Steak before opening Proof. And that fine dining background still comes through. 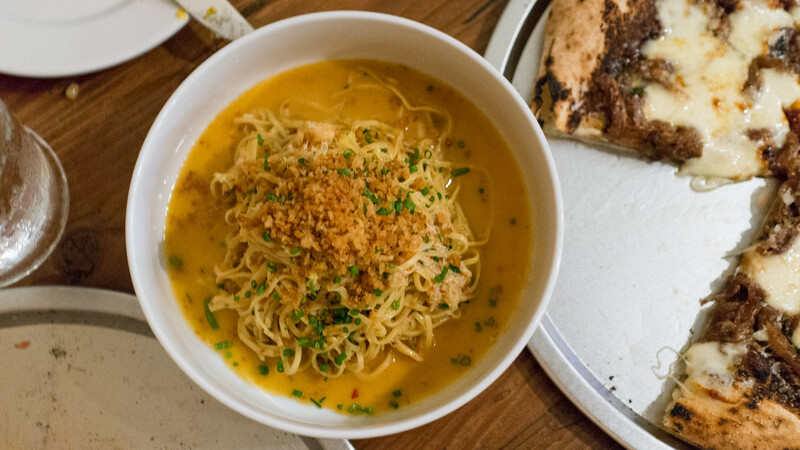 So don't let the name fool you, whether it's "Proof Pizza & Pasta" or just "Proof Miami" – this place is sneaky good. OK, it wasn't even that recently. In my defense, I do write somewhat more extensively about Miami restaurants in Edible South Florida quarterly magazine and occasionally Ocean Drive magazine, which is another reason you don't see quite as much here. You can find links to those pieces on the Published page. I believe that Matt Depante, who opened Proof with Justin, has now moved on. Pastry chef Malcolm Prude, who also makes Xavier's Macarons, is still on board.